Myrtle Beach, SC and the Grand Strand always conjure images of white sandy beaches, championship golf courses and seafood restaurants with menu items that were just plucked from the Atlantic Ocean. Whether you have never before visited Myrtle Beach or if your family is the fourth generation to call Myrtle Beach your vacation destination of choice, everyone is welcome. For decades the Grand Strand has appealed to golfers seeking a challenging game and to families looking for beautiful beaches on which the kids can run and play. 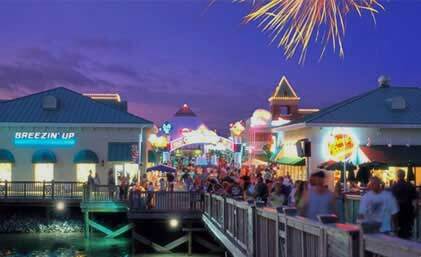 And for more than 50 years, people have planned their Myrtle Beach vacations with Elliott Realty. 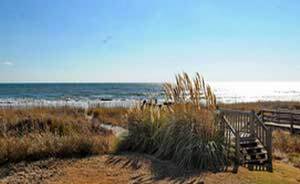 Myrtle Beach vacation rentals are as wide ranging as the 60 miles of beachfront that comprise the Grand Strand. Elliott Realty has vacation property to meet every vacation need, Beach Houses and Condos Are Preferred over Myrtle Beach Hotels. Oceanfront condominiums offer panoramic views where you may enjoy a front row seat to the show that nose diving pelicans perform daily. Myrtle Beach condominiums have a kitchen and living area and when they are not oceanfront, they are just a couple blocks away. Beach houses are terrific vacation rentals for larger families and church groups and oftentimes feature porches or decks for casual outdoor living. Vacation rentals on the salt marsh channel are popular with fishing enthusiasts as they can cast a line in their own backyard during vacation and still be within walking distance of the beach. Myrtle Beach resorts often boast swimming pools, lazy rivers, hot tubs and wireless Internet access. Amenities and conveniences are plentiful at Myrtle Beach vacation rentals. So walk in the shoes of generations before you, who have embraced the Grand Strand as the beach vacation destination on the East Coast. Whether you pine for the old fashioned beach music that lures shag dancers to the dance floor or you are more of a thrill seeker that pursues the water sports scene, Myrtle Beach is a vacation hot spot for year-round attractions and fun.